What a stylish water bottle this is! 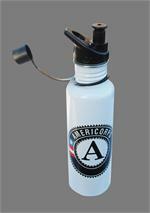 We built it to be a nearly exact match to the most popular water bottles available in the USA. It's a big 26 ounces and is made from the best steel, 18/8 featured with our new and improved flip top!! 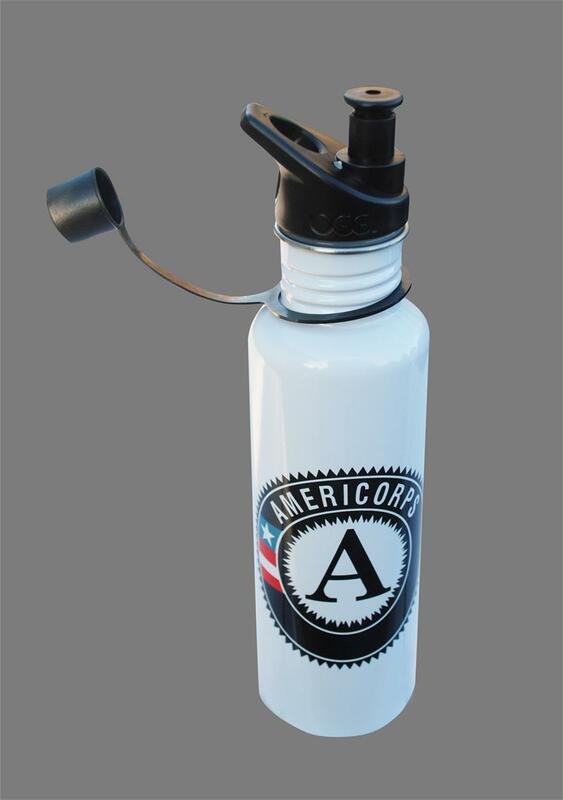 And, not only is it painted "Bright White" in food grade paint, it also boasts on its cylindrical side the You-Can't-Miss-It AmeriCorps logo.